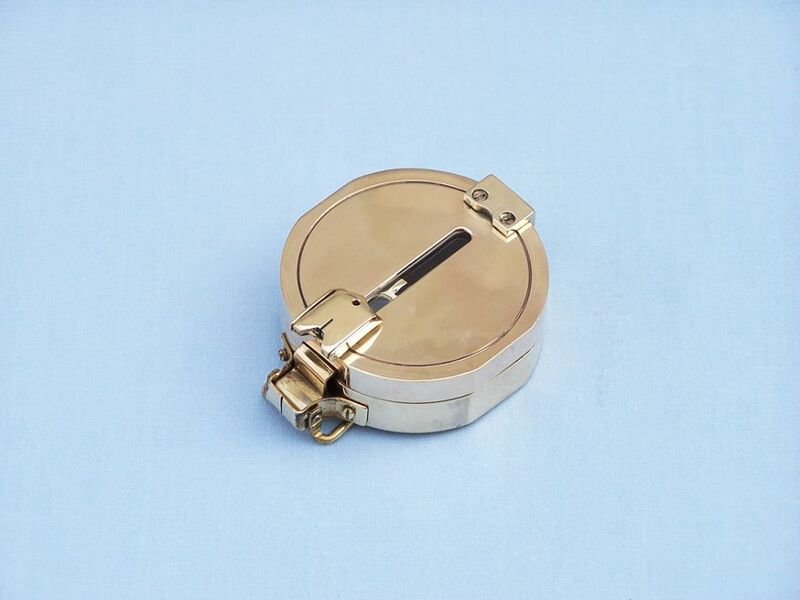 The Hampton Nautical Solid Brass Clinometer compass easily folds to fit in your pocket. The compass card has both the standard 0 - 360 degree scale, as well as the 0 - 64 Mil scale (one yard at 1,000 yards). 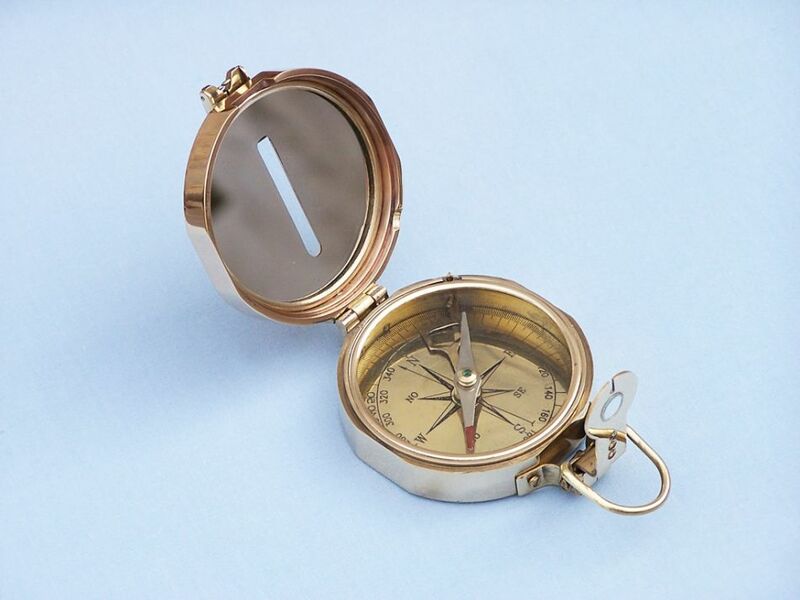 Present this antique compass to the nautical enthusiast in your life and make their collection complete. 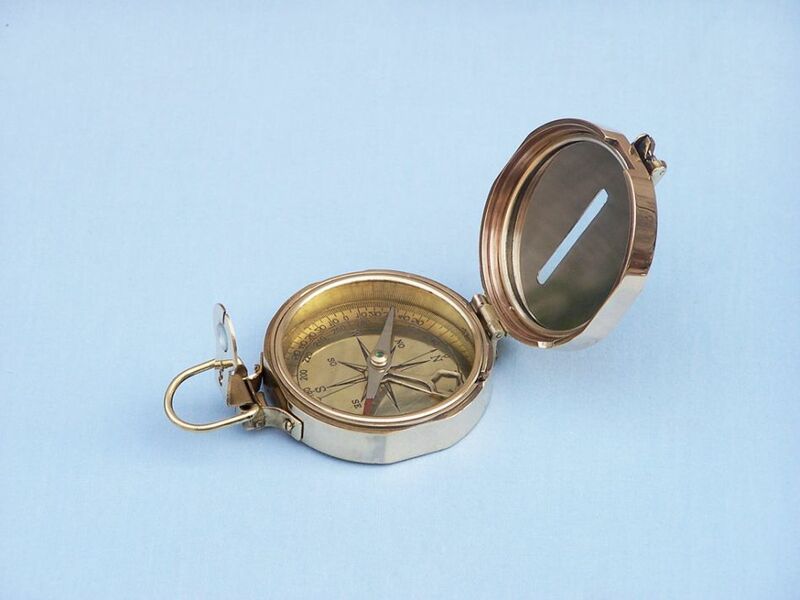 A perfect addition to any collector’s set, or for someone who is simply in love with the nautical lifestyle and sailing the open ocean, this hand compass is not only a token of your thoughtfulness but a useful tool. With the amazing history behind the nautical compass and its impact on the art of sailing, each hand compass is designed with a brilliant classic style. Crafted from solid brass, a tradition in sailing for both its aesthetics and resilience to the salt-tinged air of the sea, this hand compass is as beautiful as it is useful. 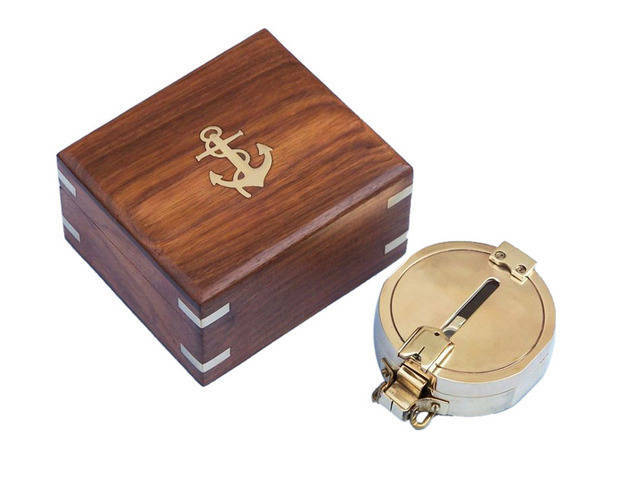 Place it along with the ships and other mementos of the sea, a work of art in itself, or take it out on your very own boat and use it to guide your way; this compass holds true to the history and honor of sailing.